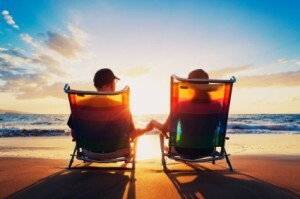 Living on a fixed income in retirement can be a challenge, especially in the first few years as you try to make all the necessary lifestyle adjustments that come with your change in employment status. In the best-case scenario, you’ve built up your gold IRA and other savings to an amount that has allowed you to make the transition smoothly. However, if you find that you’re just barely getting by or that you’re spending at a rate that will drain your nest egg too quickly, here are some tips on how to reduce common expenses in retirement. Downsize your home to something more affordable. Even if you’ve paid off your mortgage, the money you must shell out for property taxes and upkeep costs on a 4,000 square foot house is being wasted. Aim for a one-story home or condominium that better fits your current circumstances. Pay off high-interest debts, including credit card balances and any outstanding loans you may have. Review your insurance policies to eliminate those that may no longer be necessary (such as disability insurance) and shop around for lower premiums for any insurance you still wish to carry. Replace old appliances, light bulbs, showers, and toilets in your home with newer energy efficient or “low flow” models to save on monthly utilities. Get rid of your landline (if you still have one) and change your cellphone plan to the cheapest option you can live with. Take IRA disbursements on time and in the correct amounts to avoid penalties. Stop financially supporting your adult children. If you’re paying off an adult child’s car, home, school loan, or other obligations, you’re just shortchanging your own retirement, so set a realistic cutoff date and end the support. Eliminate seemingly small daily expenses, such as that $5 cup of coffee or $10 fast food lunch, that can actually add up to big bucks over the course of a month or year. If implementing all these tips at once would be too much of a shock to your lifestyle, start with the ones that yield the greatest immediate savings. Then after you become accustomed to the changes, you can make further reductions as required until your retirement expenses reach a manageable level.